I update this guide monthly to make sure the directions work. This is made for the easiest and best platform for dispensaries. A website building platform is sometimes called a CMS (or content management system). It’s is a user-friendly structure for building websites and managing your own website content. More than half of the websites build with a content management system (website building platform) are on WordPress. 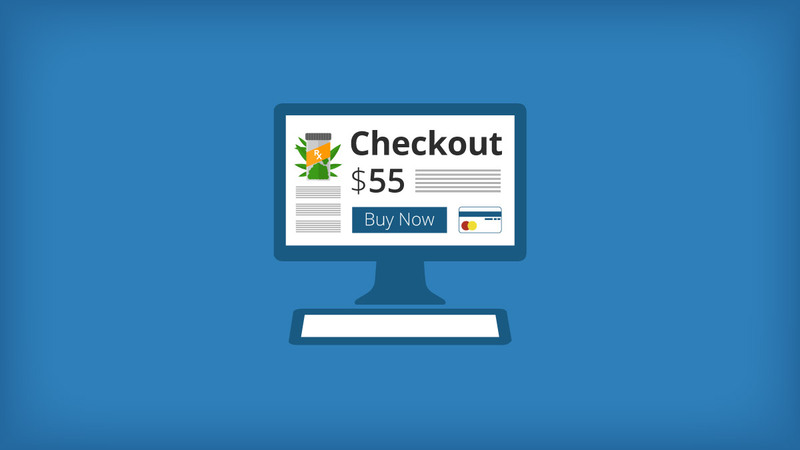 Why is WordPress the best choice for your dispensary’s website? #1. It’s completely FREE! It comes with many layouts & themes for you to choose from, too. WordPress is completely free, and there’s a massive community of people who have made gorgeous themes and templates, which make it easy to quickly make a unique and beautiful website. If you know how to use word processing software like Microsoft Word, you already know how add your own content. The great thing is that WordPress can be expanded to your heart’s content with free plugins that will take the guess work out of adding any functions to your website. These things include Contact Forms, eCommerce, Subscriptions, Image Galleries, etc. Pretty fantastic, eh? Everyone from bloggers to online stores use WordPress. It is even used by CNN, NASA, and eBay. #5. There’s a massive community full of developers who will support you. The good thing about using a popular (and powerful) platform is that there are millions of people out there who have answered the same questions you’re having about wordpress. WordPress itself has Youtube videos and free support forums. You’ll be covered. So why not Drupal or Joomla? Since you’re a beginner, I suggest you stick to WordPress. The wonderful thing is that while it’s so easy for beginners, it is flexible and (secretly) powerful enough to have someone amp up features and functions at a later date if you ever see it fit. In Step 2, I’ll walk you choosing a domain name for your dispensary and finding a host for your website (the host makes your site visible online). While WordPress is free ,a domain name and hosting will probably cost you $3–$5/month. I’ll show you how to get a free domain name below. It’s extremely affordable to have your own domain name, and it makes you look far more professional than having something like dispensaryname.free-website.com. In addition, having your own hosting will give you control of your website and give you the ability to make your website load quickly. It won’t just go down for hours, and if there is a question or an issue, you’ll have a support team ready to help you. Where do I get a domain name and hosting for my dispensary? I personally use www.Bluehost.com as a host for my first-timer sites, and even for some of my larger projects. Their hosting costs about as much as a good cup of coffee ($3.49/mo) and they’ll give you a FREE domain name (woohoo!). The cool thing about getting the domain name is that you will get a free personal email address. Again, this is way more professional than the free version, and often sets apart the pros from the regular shmos. Do you already have a domain name and hosting for your dispensary? Alrighty then, skip to step 3 where I’ll explain how to set up your site. What should I choose for my domain name? Most domain names end with .com, .org or .net. You’ll see all sorts of options for different domain extensions (the end of web address, like .com) including .agency and .guru. My advice? Don’t bother with them. It’s not mainstream yet, so people (and even some online services) won’t recognize your domain name as an actual website. .com is easy to remember– but what the heck is .agency? You’ll want to make your domain easy to remember, so don’t use any confusing or hard to spell words. You’ll also want to make your domain reflect your actual business. Using expressive words (heady, dank, kush, awesome, best) in the domain will not help you, it will only mislead people into thinking you’re in another business. If you’re making a news source for weed, sure, go ahead and use dankkushnews.com, but for your dispensary, keep it straight forward. Secure your domain name and web hosting. For this I recommend Bluehost.com, but you can pick any other web host as long as it’s reliable and simple. Get the Domain Privacy: It’ll keep people from being able to figure out who owns the site (and dispensary). Otherwise it’ll be public record that you can find out in 30 seconds. Consider getting Site Backup Pro: it will back up your website incase you ever delete things accidentally or mess something up. This way you can just roll back to yesterday (or last week) and your site will be good as new again. Now that you’ve bought your domain and hosting, you’re ready to go! Now it’s time to get your site up. Don’t worry, it’ll be easier than you think. Within Bluehost, and most similar hosting companies, you’ll find a 1-click-installation button in your control panel (once you sign in). 1. Log in to your Bluehost hosting account. 2. Get to the control panel. 3. Click the WordPress icon. 4. Choose the domain where you will install wordpress (the one you just set up, duh!). 6.Smile! 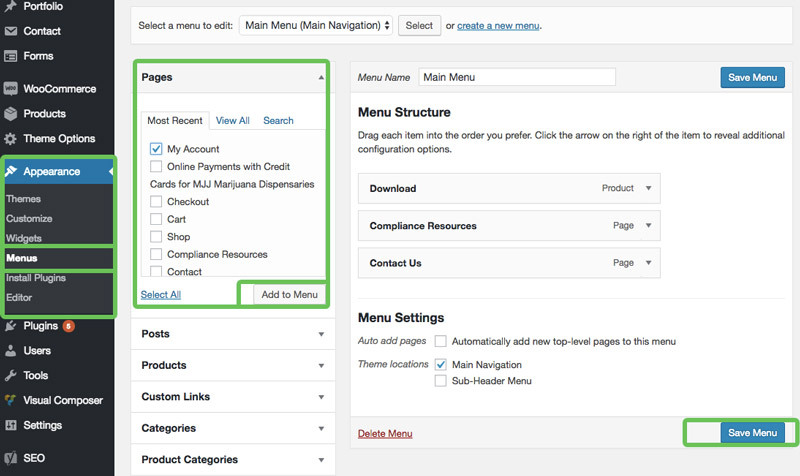 In a fee moments you’ll have access to your dispensary’s NEW WordPress website. Take a J break. Or, hey, grab a celebratory bong and get crackin’. The next steps will be somewhat creative anyway. When you first install your site, you’ll have the standard theme installed. It’s basic and clean, but you need something a little more unique. You don’t want to have your website look like everyone else’s. The great thing is that there are literally thousands of themes to choose from that are made by professional designers just for wordpress. Type the following into your browser’s url bar: http://yourdispensarysite.com/wp-admin (replace “yourdispensarysite” with your actual domain). Once you’re in the dashboard, you have access to more than 1400 free themes. You will find them by hovering over “Appearance” on the left sidebar, then clicking “Themes”. 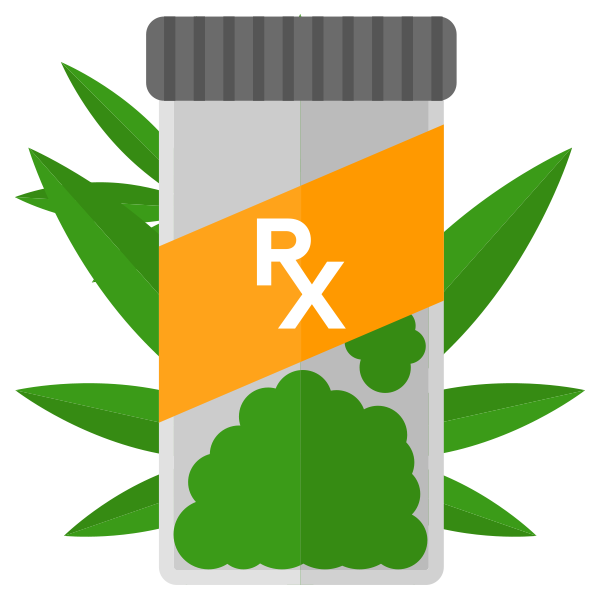 You can search for specific themes and keywords or you can use the filters to find something that fits your dispensary’s style. Don’t settle on the first one you like– take the time to find something very fitting. You can also look for themes using the search term “responsive”, since this means that it will fit the site on a mobile device like a phone or tablet. If you want to go a step further, and get something even more unique, and more powerful, you can check out themes on themeforest. You’ll probably end up saving yourself 15+ hours designing pages if you use a href=”https://themeforest.net/item/x-the-theme/5871901?ref=mkob”>X Theme. Once you’ve picked out the perfect theme for your dispensary, all you have to do is click “Install” and then “Activate”. It’s important to note that changing themes won’t overwrite, delete, or hide your posts, pages or any other content that you’ve made. All you’re doing is changing your site’s skin– the content stays as is. 1. 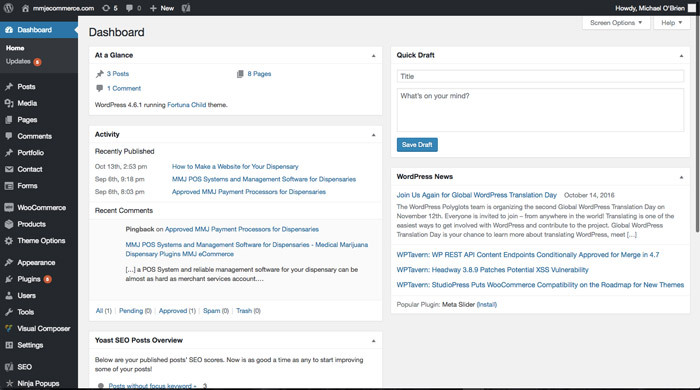 Look at the left sidebar in the WordPress Dashboard, and hover over “Pages” then click “Add New”. 2. This screen resembles other text-editing software. Just add the title of the page, text, images, or whatever else you want to build the page you need. 3.Click Save or Publish when you’re done. 4.Click the “Permalink” (below the title) to see your page. Hold control (windows) or CMD (mac) while clicking to open it in a new tab. Follow this section if you want your page to show up on the top menu of your website. 4. Click “Add to Menu”. Page titles explain what your website is about in google search results. They are a pretty big part of how search engines determine your rankings, so you’ll want to put your keywords in your tagline. You can keep your page title’s short and to the point since you will be using your tagline as more of a general website description. A good example is “About Us” or “Locations”. The next thing to customize is your tagline. It is automatically added to the title of your page after a separator like “-“. This is how your Title and Tagline will show in google search results. Your description will automatically be populated by the first characters on your page, so be sure to remain on topic in the first sentence. No need to say “welcome” or anything like that. One of the most common complains that I get is that site owners are getting a lot of spam comments. Reviewing and deleting these can get tedious, so I will show you how to disable them. If your front page is a list of your blog posts (or the example blog post that is already on the site when you first install wordpress) and you want it to be a regular page, follow these next few steps. A static page is just a page that doesn’t change too much. A blog page shows the latest articles at the top, with the older ones below them. If you want your website to have a regular home page, this section is for you..
“Front Page” denotes your home page, “Posts page” is the blog page. Congratulations – you’re ready to launch your dispensary’s website! If you’ve followed this guide, you have a fully-functional WordPress website for your dispensary, and that’s awesome! Nice and easy, huh?